You have 1468 characters. Don’t forget to add important and relevant keywords in your description to improve your iTunes app page and optimize your SEO. Your app's last version was released on January 14, 2019. 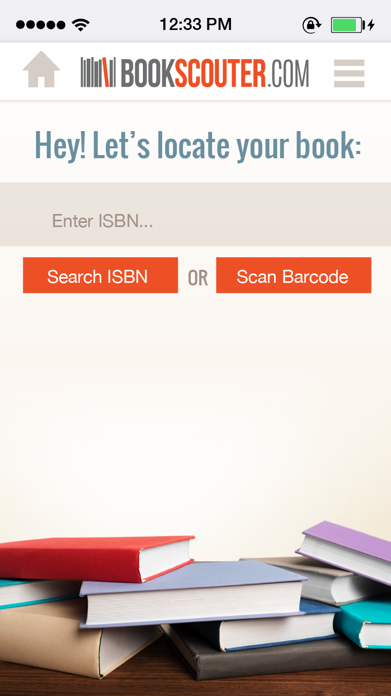 It is important to regularly update your app. Best practices recommend to update your app every 4 to 6 weeks. This means fixing reported bugs, improving existing features, launching new features etc. Keep an eye on users' feedback. The next great features may already be asked by many users. 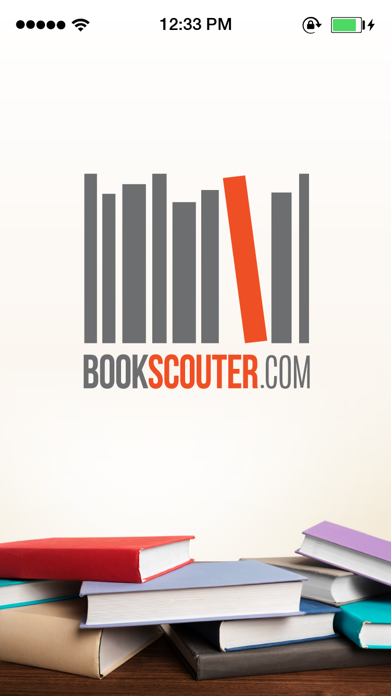 The official BookScouter.com used book and textbook price comparison engine helps you search and compare real-time offers from over 30 websites that buy back books. 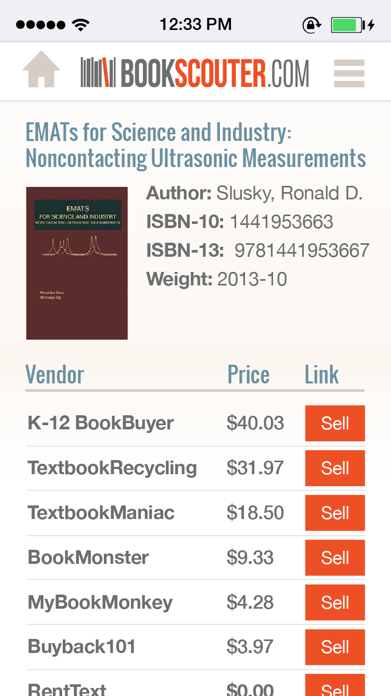 Sell your used books for the most money using these simple steps. 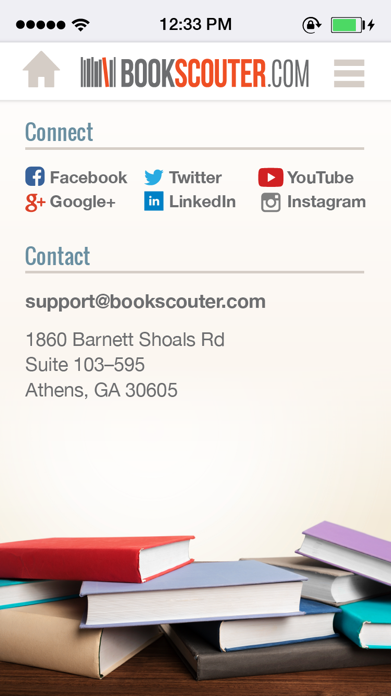 The official BookScouter mobile app includes prices from Chegg, BookByte, TextbookRush, Powell's Books, Amazon.com, Bookstores.com, Valore Books, TopDollar4Books, BooksRun, eTextShop, CKY Books, Buyback Express, Buyback101, MyBookMonkey, RentText, Textbook Recycling, Textbooks.com, Cash4Books, SellBackYourBook, BlueRocketBooks, and more. *Free shipping may require a minimum transaction amount to qualify. Carriers vary by vendor. **Most vendors pay via check or PayPal, but some also offer in-store credit or ACH deposit.